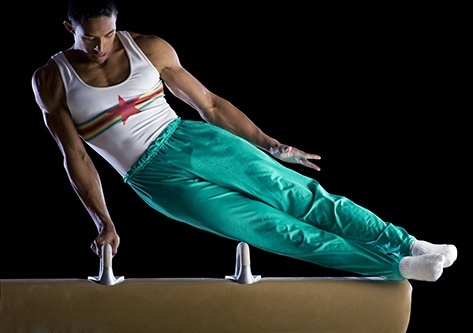 Is agility a key component of your marketing mix? What do you think of when you hear the word “agility”? Perhaps a twirling gymnast or a skilled footballer; or maybe a brilliant mathematician or writer. According to the Oxford English Dictionary, agility means “the ability to move readily and quickly;” or “the ability to think and understand readily and quickly”. When it comes to B2B marketing, agility is an essential component. From your own experiences you will know that the needs of your customers aren’t static – and there are macro forces to contend with, which are out of your control. These could include, for example, the introduction of new regulations regarding your industry. Being able to respond to changing situations and adapt your strategy accordingly is an important part of the marketing mix. This doesn’t mean you have to depart entirely from a structure or overarching plan – but we should be willing to rise to the challenge if someone throws us a curve ball. Agile marketing is certainly not a new idea, but it is as relevant as ever. We and our customers live in a technology-driven world. Online there are lots of companies competing to be noticed - but we have short attention spans; we want things quickly; and we change our minds often. Writing on Marketo, Sanjay Dholakia says we have entered the “Era of Engagement Marketing”. In other words, we should aim to have fluid relationships with the people we work with – and let them guide us. If they go down a new and unexplored path, with unexpected twists and turns, we should not miss the opportunity to follow and respond in context. The only real way to fulfil these requirements and to stay connected to how your leads and customers are behaving is to study the data. In order to see how people are engaging with your business it’s well worth investing in marketing automation software, which will allow you to track activity at all stages of your marketing – on a single platform. The big players – all of which are based in America - include the likes of: Adobe Marketing Cloud, HubSpot, IBM ExperienceOne, Marketo, Oracle Marketing Cloud and Salesforce Marketing Cloud. Additionally, new competitors like Act-On and Rainmaker are coming up fast. But it’s important to remember that before we can even begin to analyse, we need to produce valuable content for each stage of the buyer's journey. In an episode of The Mainframe last month, hosted on Rainmaker.fm, Tony Clark said: “One of the things you’re seeing right now in our industry and in other industries is that, though automation can help, it can’t do everything. As marketers, our content - from blog posts, to email campaigns, to product demonstration videos - should always reflect the needs and desires of our audience. Agile marketing is very much about responding to the needs of your customers – wherever that may lead you. There is no set formula (quite fittingly! ); it will be different for every business. As marketers we want to be guided by the needs and desires of our audience, however changeable those may be. In a fast-paced digital world, speed is the key to success.